The sensational Slava keeps bringing fire with his latest EP, scheduled to be released on Solar Tech Records on March 19th 2019. The EP, titled "Create Your Dreams," consists of two collaborations, made with two different up-and-comers from different parts of the world. 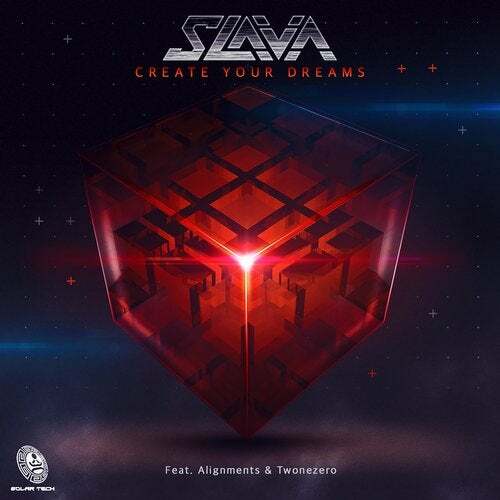 "Create Your Day," Slava's collaboration with Mexican artist Alignments, is a high quality sound experience that works as a staircase to a state of entrancement. The track fills up the sound spectrum and delights the mind. The second track of the EP is called "Dream Valley" and has been made along with co-composer Twonezero. This tune manages to tease the senses and create an ethereal atmosphere. The EP shows that these are three artists to look out for in the future, and that this future has exciting things in store for us.